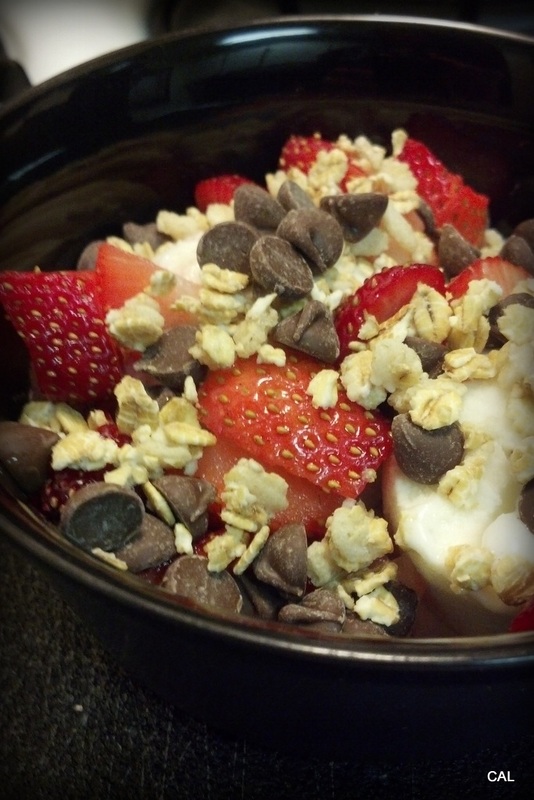 Posted in DIY, Food, Fun, Treats	by C.
An average, medium-sized, frozen yogurt runs around $5.00 – give or take on your preferences and where you choose to get your brain freeze. I decided to take matters into my own hands and experiment in a less costly way to get my fro-yo fix. This is by no means a Martha Stewart-esque approach (I didn’t make the yogurt from scratch or anything) and it’s not at all rocket science to throw some toppings together, but if it inspires you to try creating your own versions of an indulgence at home, no matter how simple it may be, then I’ve done good. Ingredients: I couldn’t find the Pinkberry-ish Tart flavor that I was looking for at Whole Foods, so just went with this vanilla flavor from Stonyfield for my experiment. 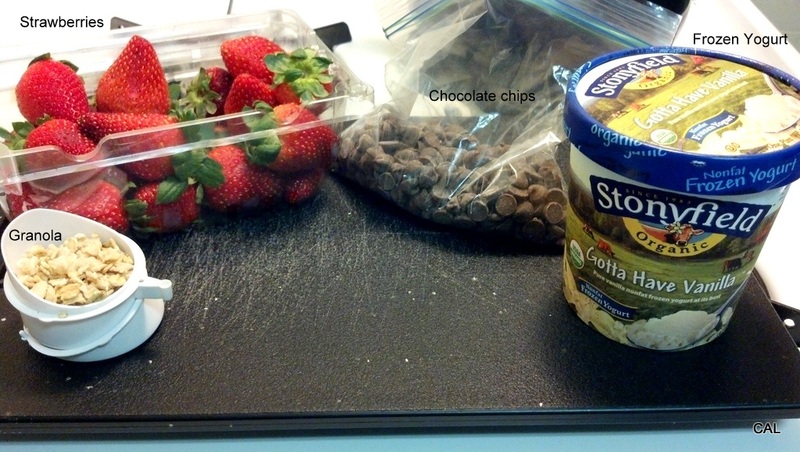 Add in some strawberries, chocolate chips, granola, or whatever your favorite toppings are. Voilà!